Forbes wants in on the world of apps. 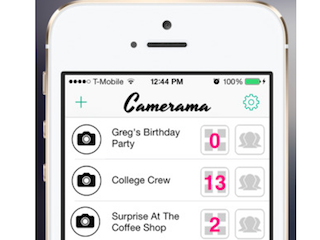 Forbes Media has acquired Camerama, an app that allows users to create cameras and instantly share photos and photo albums with select people. As part of the deal, Camerama’s founder Salah Akram Zalatimo will join Forbes as VP of mobile products. He’ll be tasked with creating new apps for the company, and will report to Forbes Media chief product officer Lewis D’Vorkin.